With festival season just around the corner, some of you might be on the look out for tents and sturdy wellies but to get into the real festival spirit.. you need a bit of crazy makeup too. 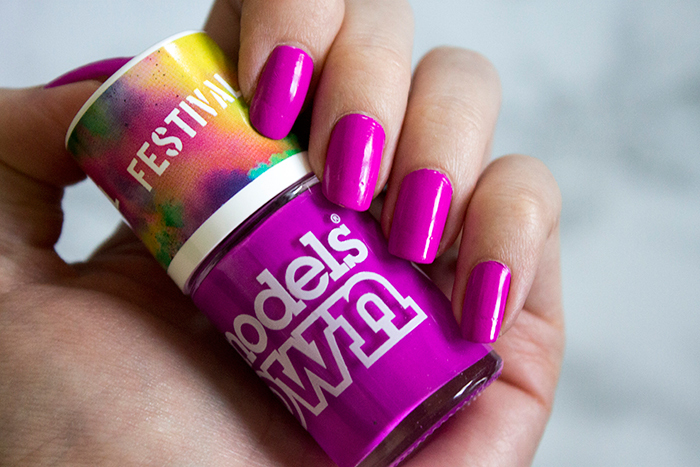 Models Own have came out with their own festival inspired collection of nail polishes featuring 4 neon shades and a glittery topcoat. Did I mention they also glow in UV? Here's what you should expect. 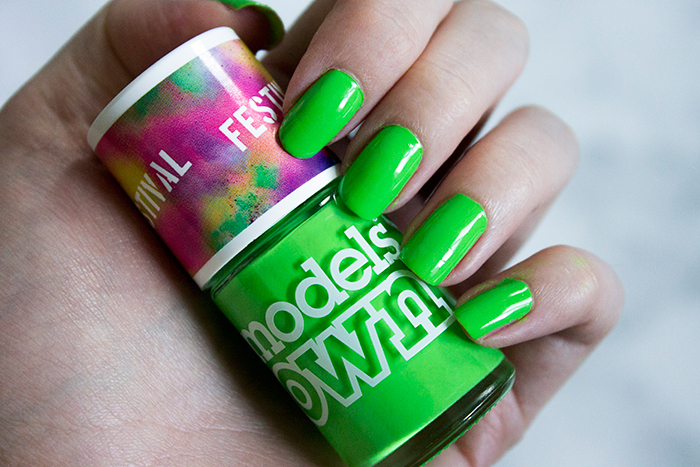 Green Fields is a bright, almost lime green which is unlike any other green I own. For you festival goers that arrive a little late.. this is what the grass looked like before you got your wellies out! Out of all the shades it's probably my least favourite but it's definitely attention grabbing. Blue Skies is a lovely cornflower blue shade. Just from looking at it, it's probably the safest shade in the range in terms of wackiness but once it hits the light, it really stands out on the hands. Out of all the shades in the range, I'd say this one could probably do just fine as a single coat. Purple Bandana is a bright purple neon which from looking at the bottle, doesn't seem as bright as the others. 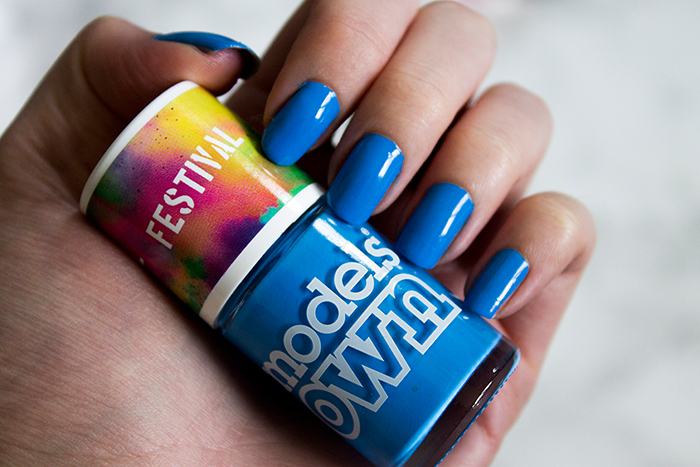 However, once you apply it to the nails in daylight, the colour really pops. Definitely one of my favourite shades in the collection. Pink Wellies is the one to go for if you want full on neon. It's the brightest pink I've ever seen and would go great with matching neon pink face paint. It's also a great dupe for China Glazes' Pool Party. 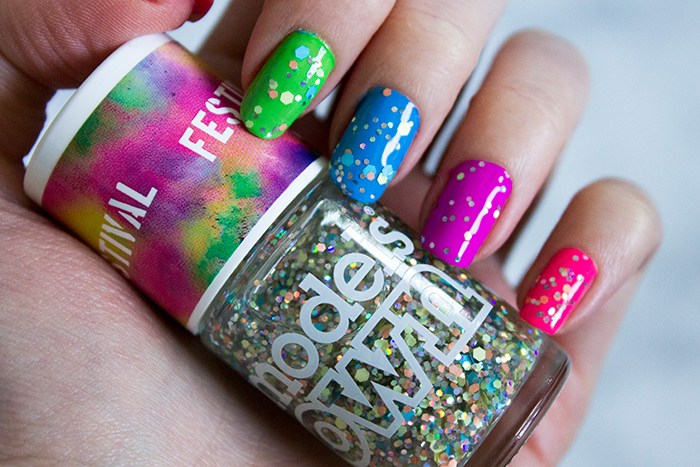 Colour Explosion is the glitter of the collection and if you feel the neon colours aren't quite enough for you, this makes a really nice touch. I especially like that the glitters are sort of pastel coloured as it doesn't take all the attention away from the neon shades. 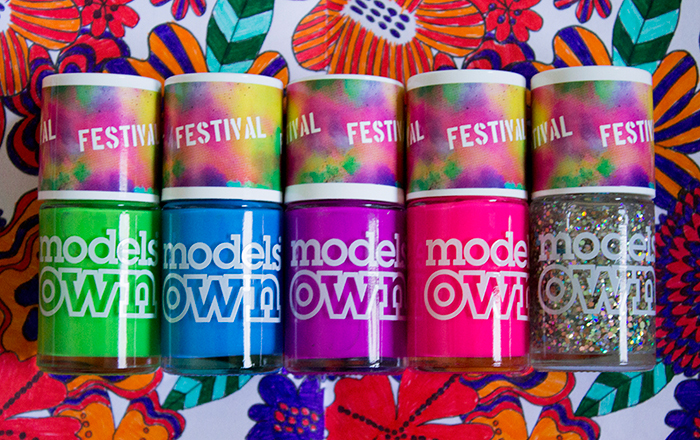 There you have it, the Models Own Festival collection! Sadly no festivals for me this year but who says you can't have some funky nail shades while watching the highlights on tv? Let us know what you think of the collection.